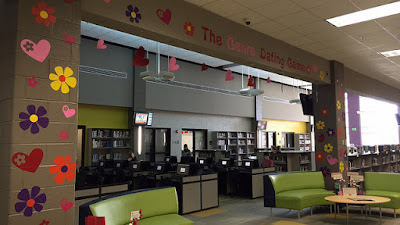 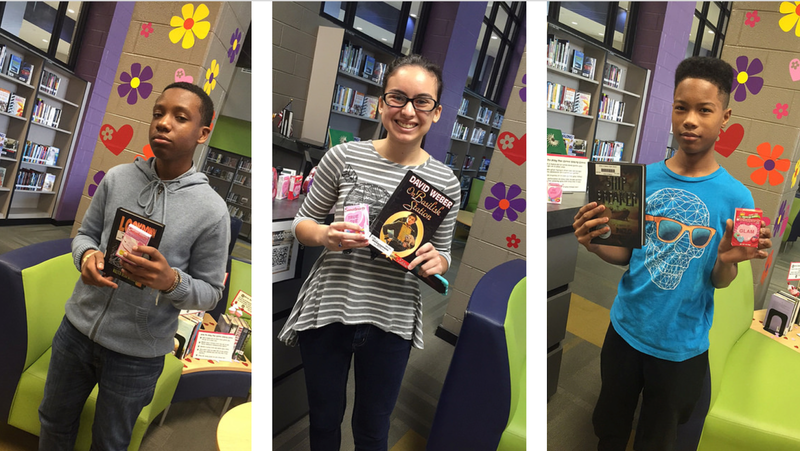 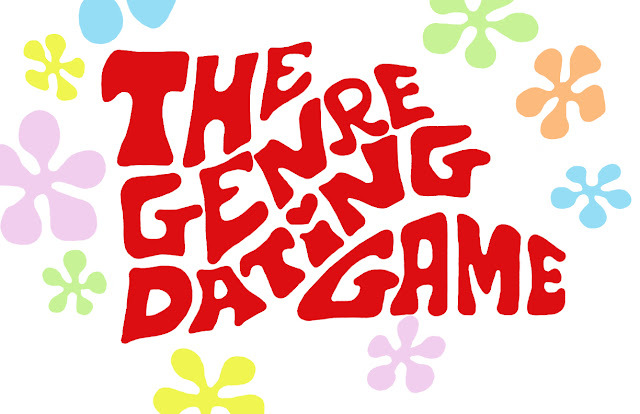 The Incredibly True Adventures of an EdTech Trailblazer: The Genre Dating Game Comes To The JCHS Library! 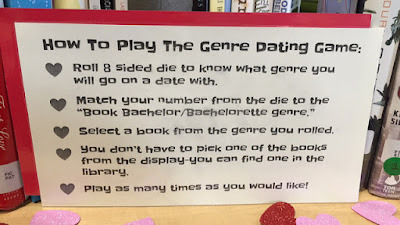 Last year I stumbled across The Genre Dating Game, created and shared by the incredible Rebecca, a Nebraska Public Librarian. 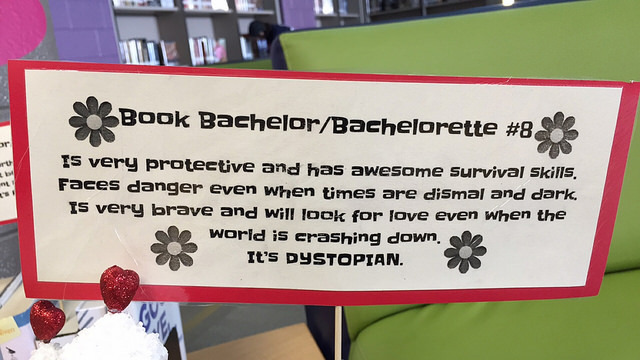 I immediately pinned it to my school librarian Pinterest Board. 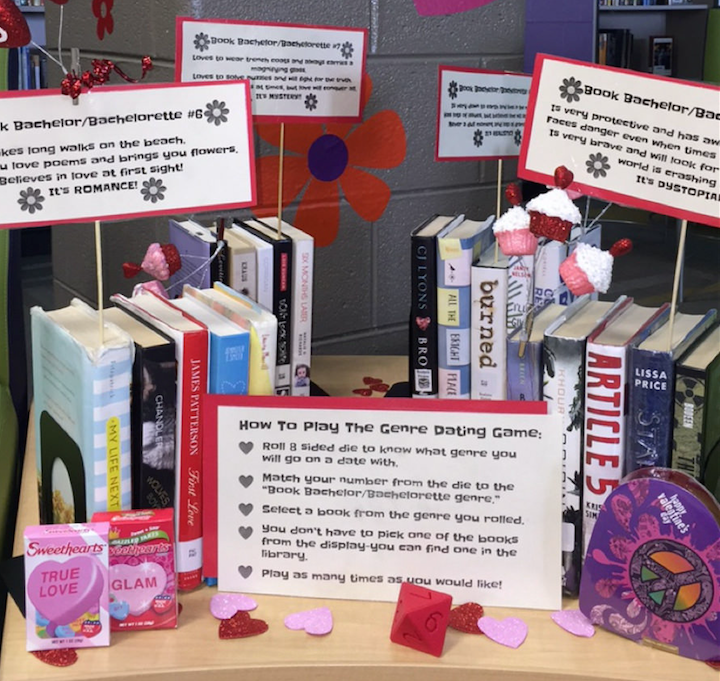 This year turned out to be the PERFECT year to bring this idea to life as the JCHS Library ditched Dewey in favor of a genrefied collection. 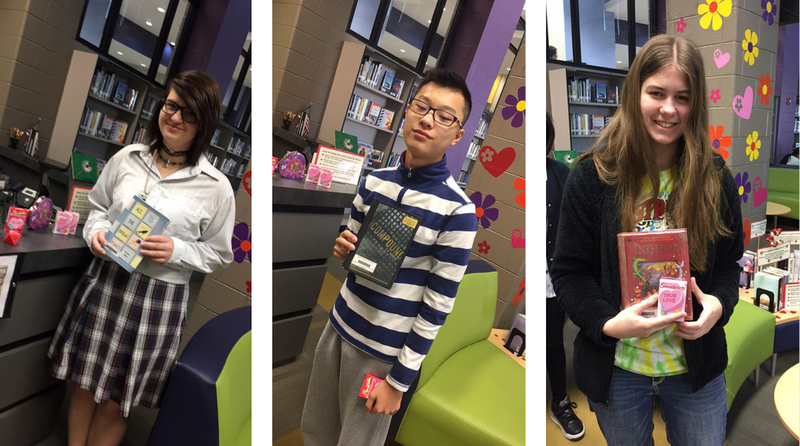 Getting this February reading promotion off the ground was a group effort. 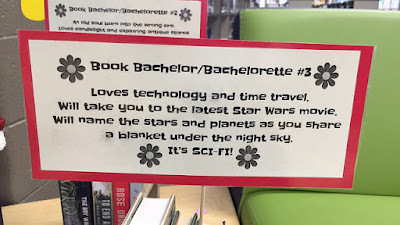 Rebecca had only used three genres in her dating game example. 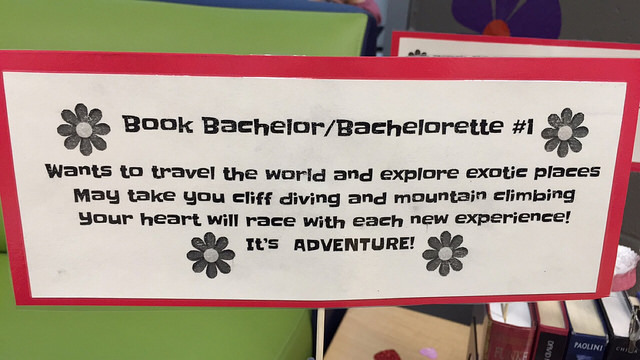 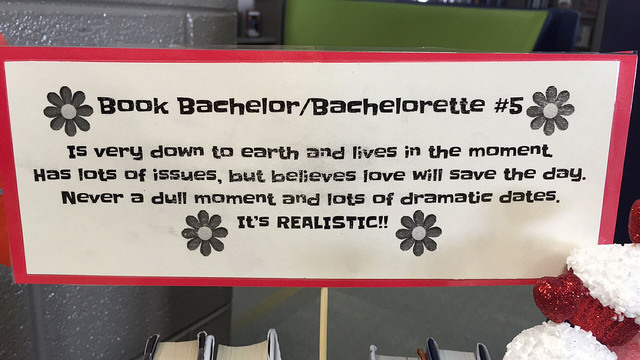 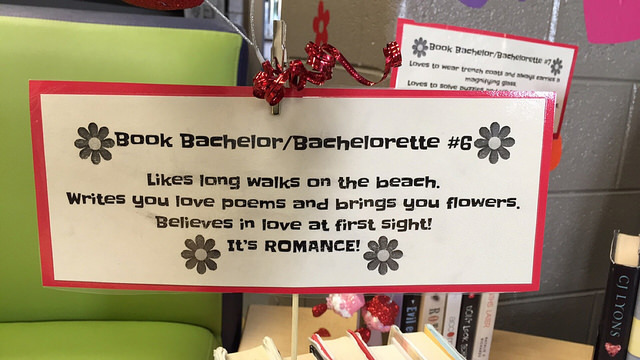 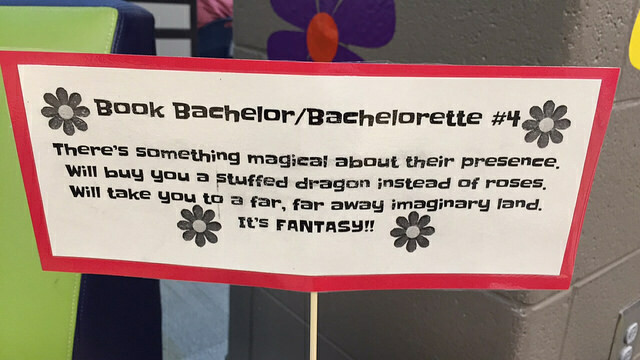 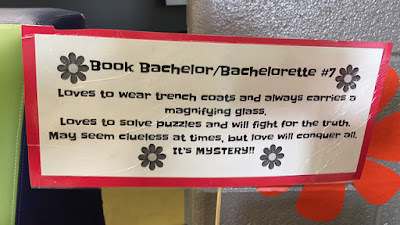 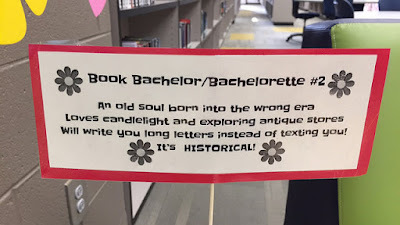 We wanted a larger variety of genres to showcase our collection so, Ms. Kim Johnson, my amazing library aide and new best friend, worked with our student aides to create Bachelor/Bachelorette tag lines for eight of our genres. We used Rebecca's game rules but decided that students would roll an 8 sided die made in our 3D Printer to determine which genre they would go on a date with. 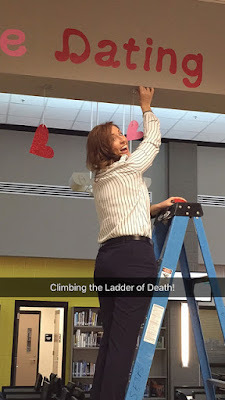 The next step was determining how we would set up our display. We decided to pull five books from each of the eight genres that we knew were great reads. We set these up in the entrance of the JCHS Library. We also used our Cricut to create signage and decorations. 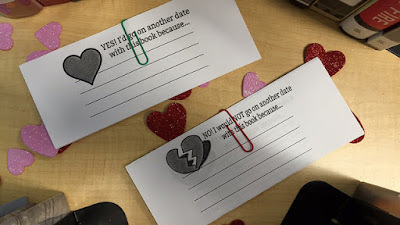 We also decided that students should write a simple one or two sentence review about how their date with the book went. 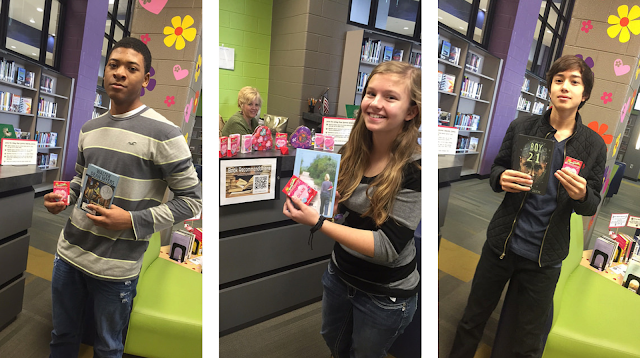 To motivate students to participate we bought conversation heart candies and boxes of heart shaped chocolates from the Dollar Tree. When a student plays the Genre Dating Game and checks out a book they get a box of conversation hearts. When they return the book and write a review of their how their date went they get a heart shaped box chocolates. 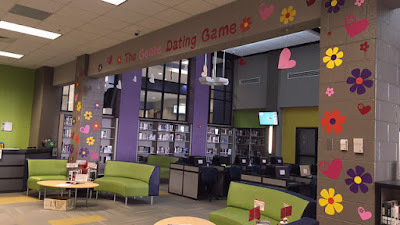 Our plan was to kick off the game on Monday, February 1, 2016..... but the kids were so excited when they walked into the library Friday morning we just couldn't say no. Before the first bell rang to start school we had five students hooked up with a date for the weekend. 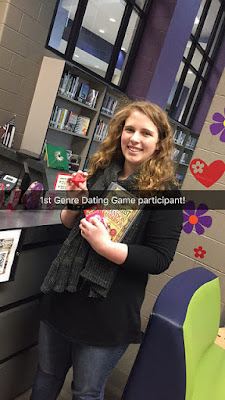 By the end of the day we had a total of 25 dates arranged! Below are just a few of our happy couples! I'm looking forward to Monday and to date reviews! 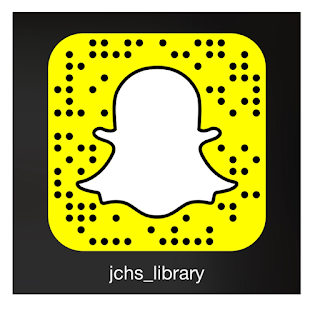 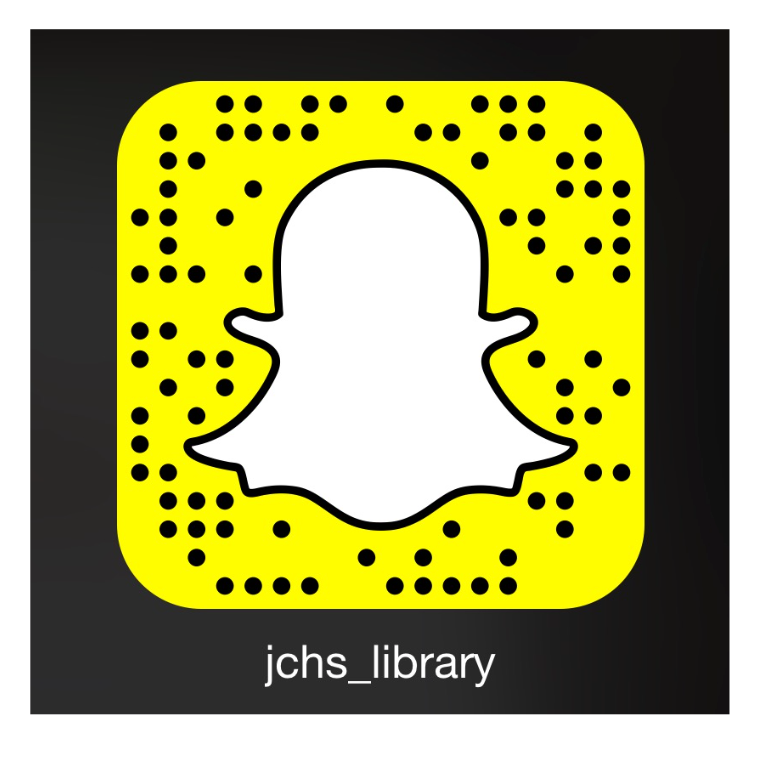 Be sure to follow us on SnapChat to see this and all of our other shenanigans in the JCHS Library!